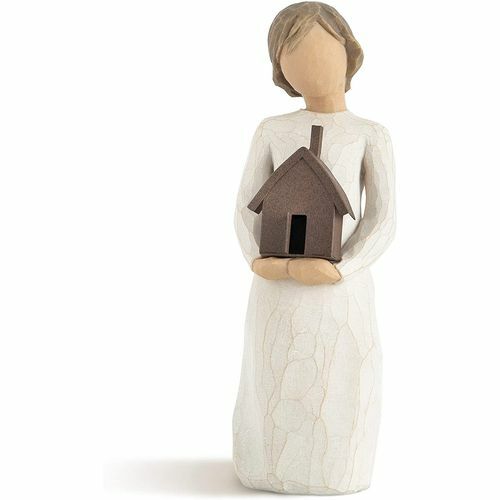 Message on the card inside reads: "Mi casa es su casa, My house is your house"
Willow Tree is an intimate line of figurative sculptures representing sentiments of love, closeness, healing, courage, hope. . . All the emotions we encounter in life.